Sting | News | Last Chance To Bid On Two Auction Packages To Benefit The Rainforest Fund Featuring A Meet & Greet With Sting, A Signed Guitar, And More! This is your last chance to bid on these incredible auction items, as the Rainforest Fund benefit auction ends TODAY! 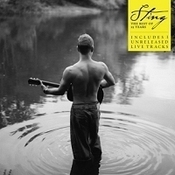 The first package features a pair of tickets to Sting's concert at the Ziggo Dome in Amsterdam on July 3, 2012, plus a pre-show meet and greet and a signed copy of the 25 Years box set collection. Also available is a Limited Edition Fender Precision Bass Guitar autographed by Sting! Please visit www.charitybuzz.com/catalog_items/306100?preview=1 to check out all of the available packages and to place your bid!